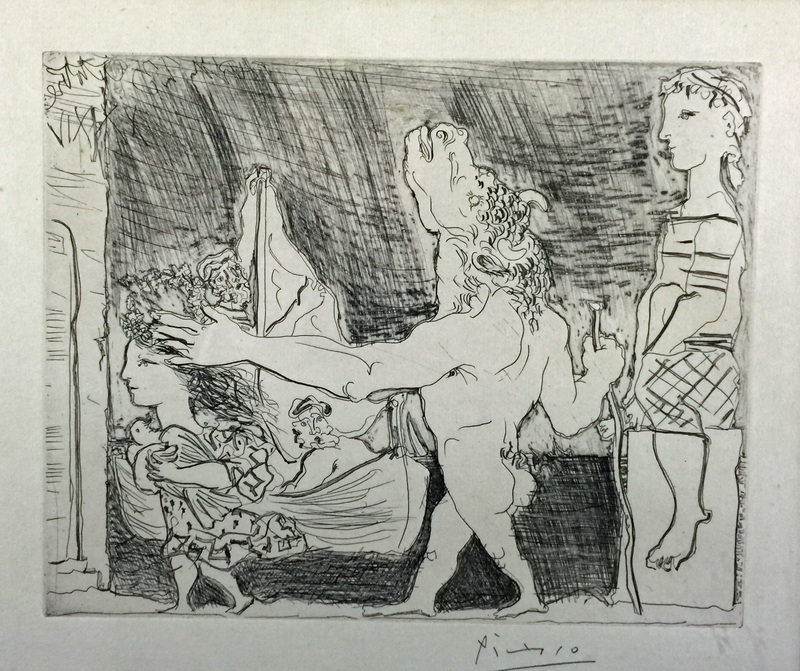 Edward T. Pollack Fine Arts Portland, Maine 617-610-7173 ed@edpollackfinearts.com www.edpollackfinearts.com Picasso, Pablo. MINOTAURE AVEUGLE GUIDEE PAR UNE FILETTE - BLIND MINOTAUR GUIDED BY A YOUNG GIRL. Bloch 223. Vollard Suite 96. Edition of 260 printed on Montval paper. Signed lower right. 9 1/2 x 11 3/4 inches, 238 x 298 mm. (image); 13 3/8 x 17 1/2 inches, 340 x 445 mm. (sheet).